As I create, I wonder…. 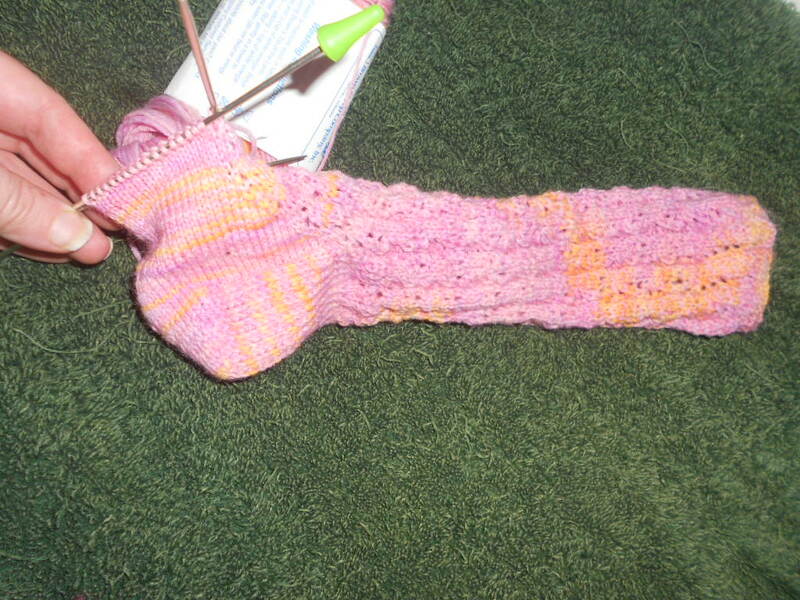 …I begin to wonder, especially with the first sock. I wonder about the personality the sock will take on. I know what the sock is supposed to look like, I know how it’s supposed to look, but it still has its own way of resembling the pictures. Its almost as if a little of me gets mixed with the pattern. 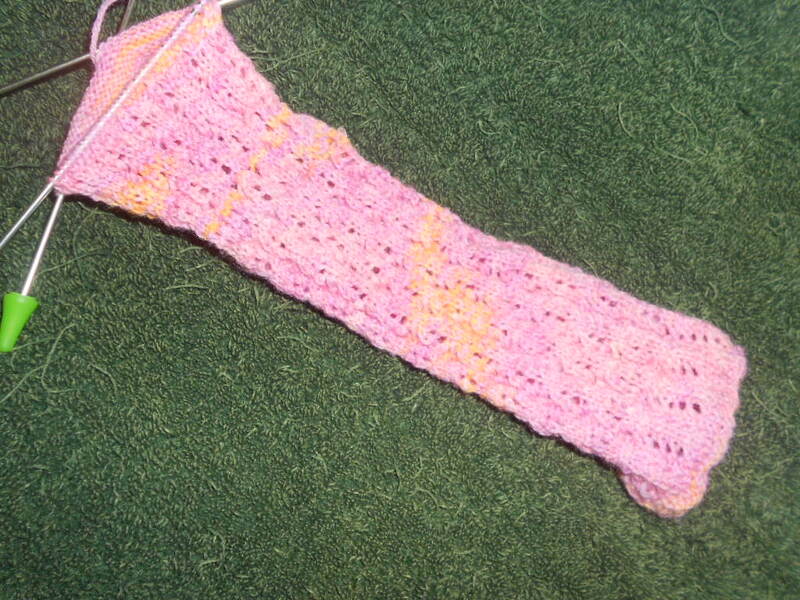 I see the pattern emerge, and I wonder about the life this sock will take on after it leaves the needles. 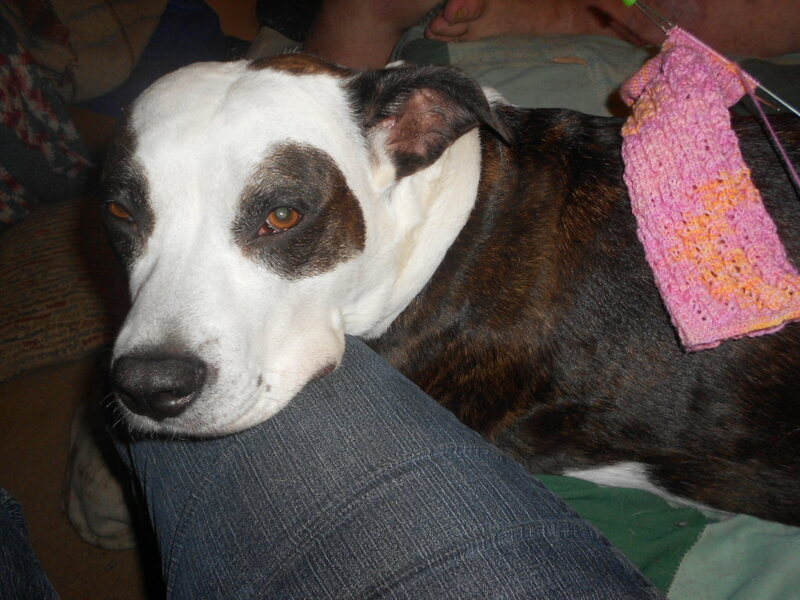 There will, of course, be the waiting period as I finish Christmas gifts and the other pink sock. But that day will come when I finish it, and if its a nice enough day, they will get their first photo taken on my front porch with my feet posed to show off the work. I wonder how the pattern will emerge from the stockinette stitch in the round as I knit. Right now, the pattern is only on the second needle and lies flat, even with the increases and decreases giving this pattern its design. I won’t know how it really looks until my foot stretches it out. It leaves me curious and still wondering, will this sock’s first wearing be into a classroom with a snazzy matching jacket and shirt I bought the yarn to pair with, or will it be for a day off where I match it with a t-shirt and run errands in them because I’m too excited to wait for school. Or will it be just in time for my first day as a Pharmacy Technician at a new job, for which I am studying now. My curiosity must be contagious as well, since most of the cats have visited the knitting at one point or another tonight, just to see where the sock had gotten to(Maeve and Putzer-who would not pose for the camera) if the yarn was tasty, and if the point protectors were good for eating or simply for scenting (Squib, who also refused to pose for the camera) and Scamp walked across my lap and left since my hands were too busy to pet her tonight. 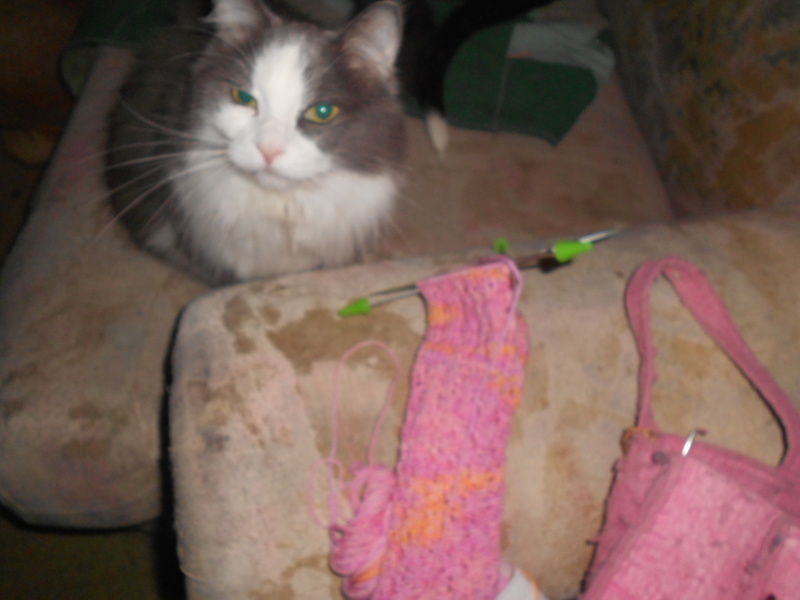 Alas, soon, only five or six more sections of repeats for the foot and toe, and we will get to see the sock in its completion. Perhaps I should make it a point to finish two repeats in a week, so long as I can get some semi-secret Christmas sewing done, too.